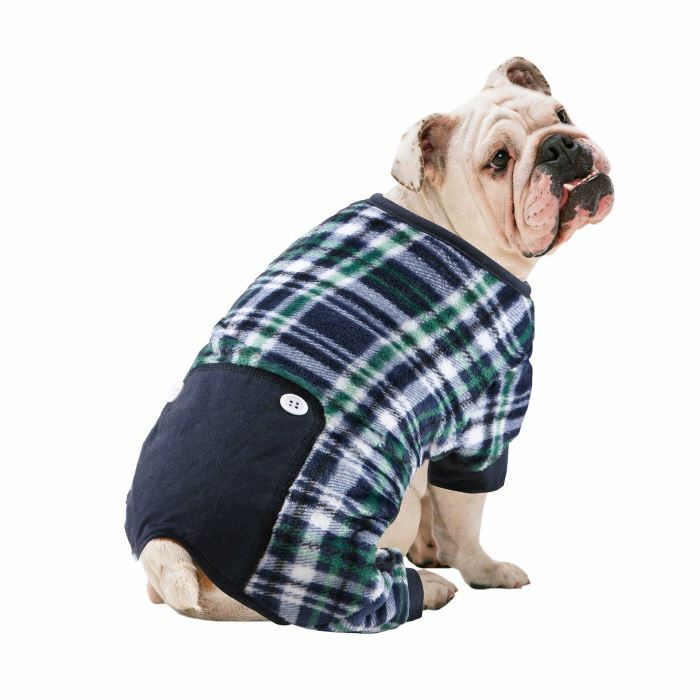 The Blue Plaid Dog Pajamas by Pawslife will keep your dog warm and stylish when it's time to catch some z's during cold weather. 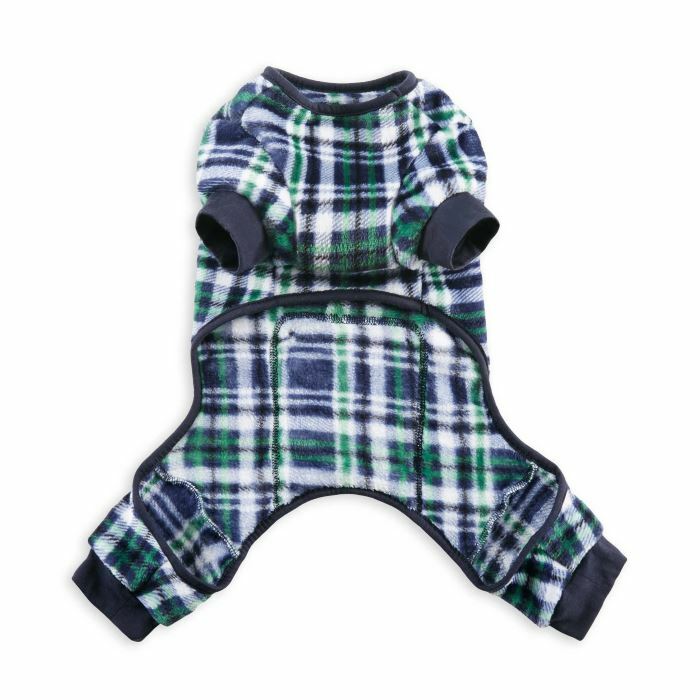 The dog PJs are stretchable with an easy-to-put-on-and-take-off design that features a terrific Blue and black plaid pattern with decorative flap and stretchable cuffs. 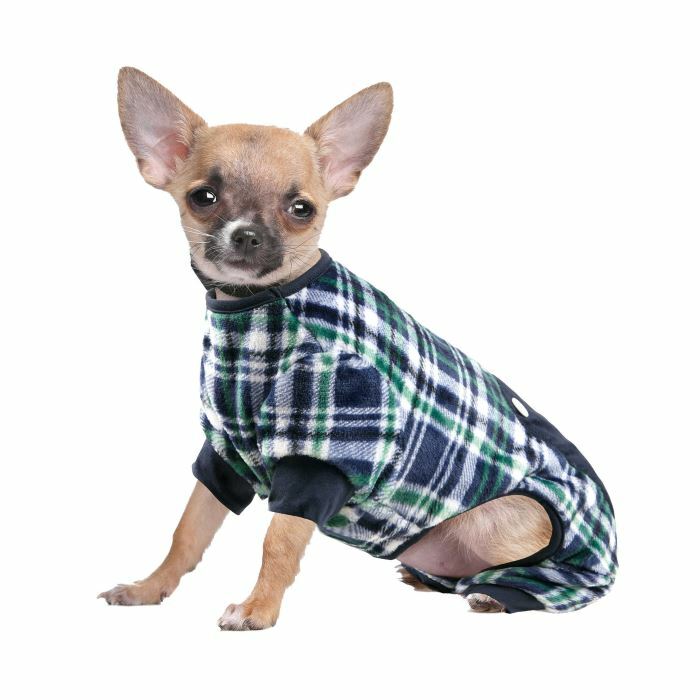 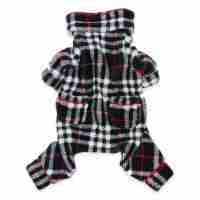 The Blue Plaid Dog Pajamas are perfect for helping keep your beloved pooch fashionably warm and cozy indoors or outdoors when the temperature drops. 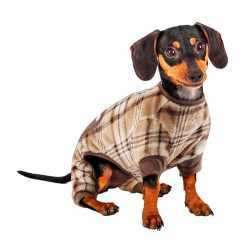 The PJs are 100% polyester. 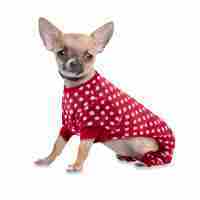 Measure your doggie along the back from collar line to base of tail. 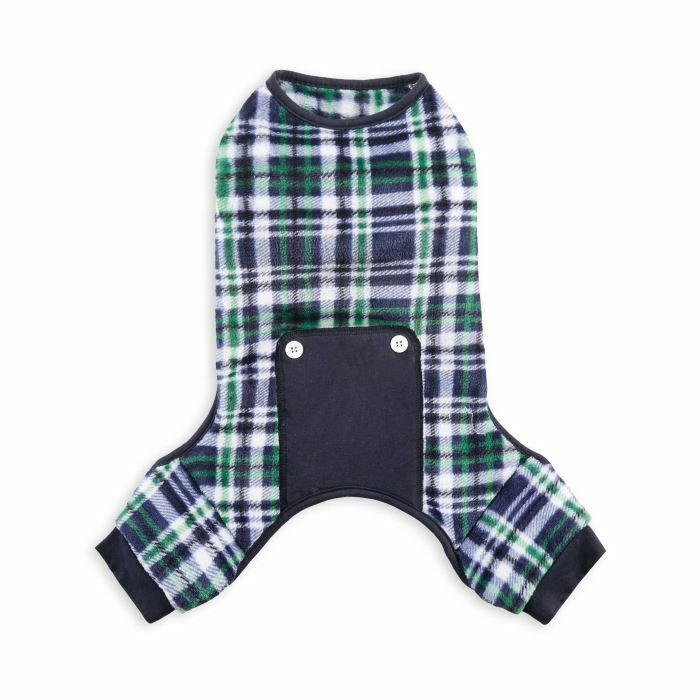 The pjs should fit anywhere from dog's "waist" to the base of the tail for a comfy fit.